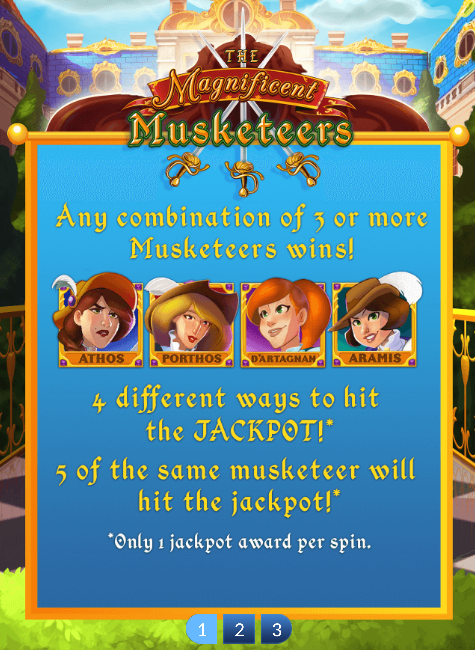 This Musketeers-themed slot machine offers a jackpot that can be won by getting 5 of any of the same musketeer on a win line. 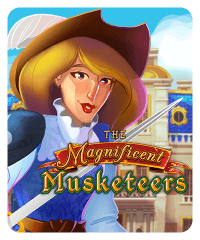 The musketeers featured are the Three Musketeers: Aramis, Porthos, Athos, as well as D’Artagnan. 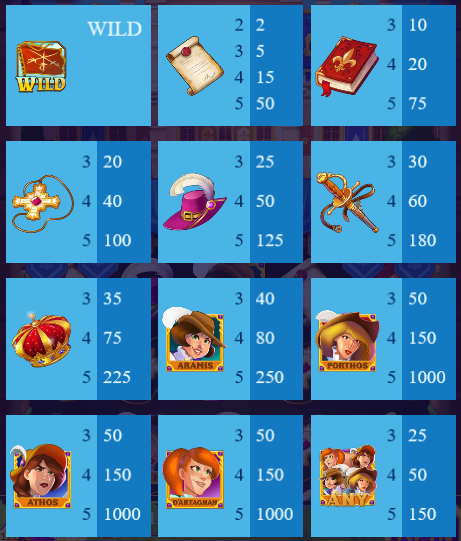 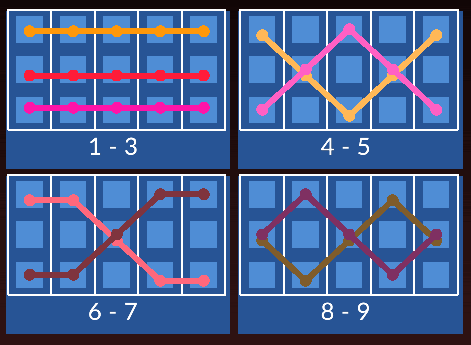 Any combination of three or more musketeers wins chips as well.